Yusniel Díaz does not have any MLB stats for the season. Originally signed by the Los Angeles Dodgers as an undrafted free agent on November 21, 2015. Named to the 2018 SiriusXM MLB Futures Game as part of the World Team... Hit two home runs in the Futures Game, becoming only the second player in the game's 20-year history to do so... Batted a combined .285 (101-for-354) with 15 doubles, five triples, 11 home runs, 59 runs and 45 RBI in 97 games between Double-A Tulsa and Double-A Bowie... Recorded multi-hit games in six of his nine April games, hitting .412 (14-for-34) in the month... Homered in back-to-back games twice during the season, once each with Tulsa (6/5-6) and Bowie (8/19 20)... Scored at least one run in seven-straight games (7/22-31) and nine of 10 (7/22-8/3)... Acquired by the Orioles along with INF Rylan Bannon, RHP Dean Kremer, RHP Zach Pop, and INF Breyvic Valera from the Los Angeles Dodgers in exchange for INF Manny Machado on 7/18... Entered the season ranked as the Dodgers No. 5 overall prospect, according to MLB.com...Was a non-roster invitee to Dodgers Spring Training. 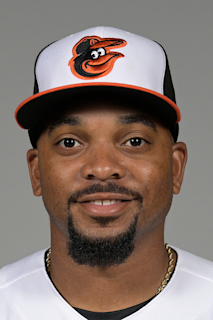 January 25, 2019 Baltimore Orioles invited non-roster RF Yusniel Diaz to spring training. July 18, 2018 RF Yusniel Diaz assigned to Bowie Baysox. July 14, 2018 Tulsa Drillers placed RF Yusniel Diaz on the temporarily inactive list. May 25, 2018 Tulsa Drillers activated RF Yusniel Diaz from the 7-day disabled list. May 15, 2018 Tulsa Drillers placed RF Yusniel Diaz on the 7-day disabled list retroactive to May 14, 2018. April 19, 2018 RF Yusniel Diaz assigned to Tulsa Drillers. January 30, 2018 Los Angeles Dodgers invited non-roster CF Yusniel Diaz to spring training. August 1, 2017 RF Yusniel Diaz assigned to Tulsa Drillers from Rancho Cucamonga Quakes. July 26, 2017 Rancho Cucamonga Quakes activated CF Yusniel Diaz from the 7-day disabled list. July 9, 2017 Rancho Cucamonga Quakes placed CF Yusniel Diaz on the 7-day disabled list. March 3, 2017 CF Yusniel Diaz assigned to Los Angeles Dodgers. July 21, 2016 Rancho Cucamonga Quakes activated CF Yusniel Diaz from the 7-day disabled list. July 16, 2016 Rancho Cucamonga Quakes sent OF Yusniel Diaz on a rehab assignment to AZL Dodgers. June 15, 2016 Rancho Cucamonga Quakes placed OF Yusniel Diaz on the 7-day disabled list. April 29, 2016 Rancho Cucamonga Quakes activated OF Yusniel Diaz from the 7-day disabled list. April 24, 2016 Rancho Cucamonga Quakes placed OF Yusniel Diaz on the 7-day disabled list retroactive to April 22, 2016. April 4, 2016 OF Yusniel Diaz assigned to Rancho Cucamonga Quakes. March 20, 2016 OF Yusniel Diaz assigned to Los Angeles Dodgers. November 21, 2015 Los Angeles Dodgers signed free agent OF Yusniel Diaz to a minor league contract.